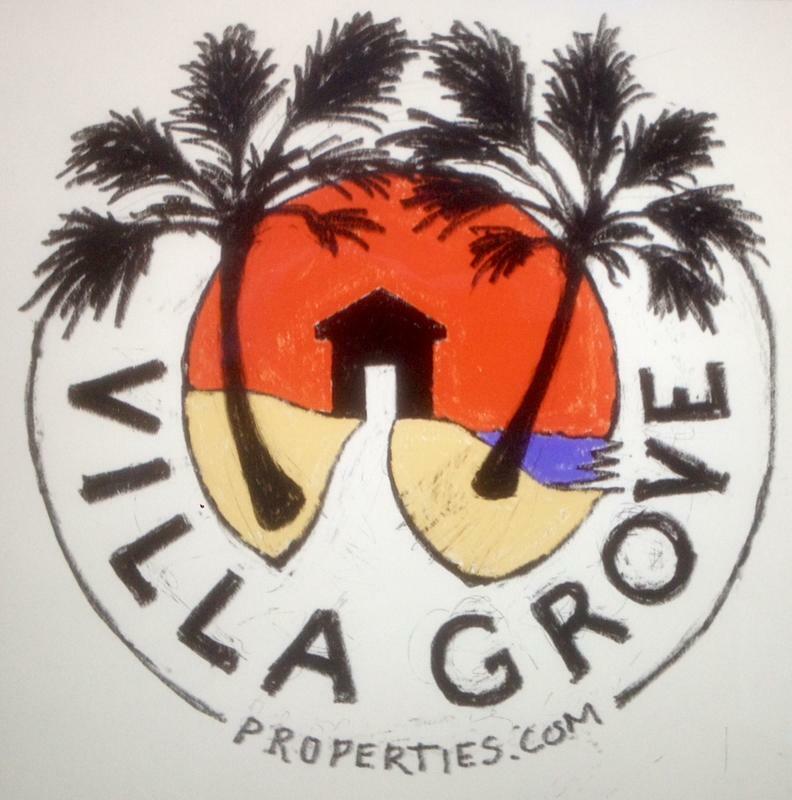 "Villa Grove" is really a family venture for us - our various logos are even family-designed (you'll see one of the original renderings to the right here). 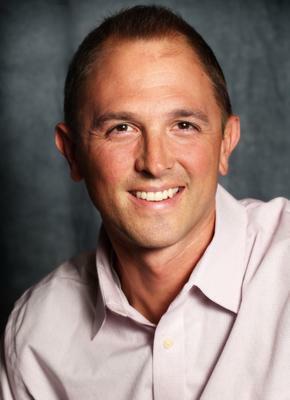 We've done the 9 to 5 (or 7 to 7 as it usually is) office routine, and Andy has run some of the largest vacation rental companies in Florida and Colorado. Being long-time veterans to the service industry, we loved being able to help guests enjoy great vacations with family - but, we seemed to be spending less and less time with our two young sons. When it was finally time for a change, Villa Grove Properties, LLC was born. Our mission is to leverage EXPERTISE + TECHNOLOGY + SERVICE to provide the perfect vacation rental experience for Owners and Guests. This is a family business, and we want to welcome you to the family! EXPERTISE: First, we've got executive-level knowledge of all aspects of vacation rental and resort management. This allows us to make the right choice for our guests & owners at every turn, without playing a guessing game or experimenting with your time and money. We've seen it done a hundred different ways, and we know which operating methods will deliver on our promises. TECHNOLOGY: We operate in the cloud & leverage technology across all levels of our business to increase efficiency and save on expenses, passing those savings along to our guests and owners. Every position in the company is either home-based or field-based. There are no offices. Technology allows our team to be in-the-field, serving our customers, as priority #1. SERVICE: Service truly begins at the time of your first inquiry. We pride ourselves on responsiveness and positivity - we want you to feel really good about your vacation rental choice, and we aim to make it a full-service experience, where you've got everything you need to have fun with your family and friends! Whether you've got a question about the best local bike shop, need extra towels, need to book your next stay, or just need to talk - we're here for you every step of the way! I earned a B.A. in psychology from Hartwick College (upstate NY) in 1997, and have spent most of my adult life in the resort towns of Breckenridge, Colorado (where Kim and I got married) & Santa Rosa Beach, Florida. I got involved with vacation rentals early on, and held Exec GM and GM positions, running large scale operations for ResortQuest, Wyndham, and St. Joe. While working for the big guys gave me a ton of knowledge over the course of 15 years or so, we've got two sons now in elementary & middle school, and the long office-days away from the family just didn't work for us anymore. With a small-scale, family-based operation, I'm excited to apply my passion for service in a personal, and impactful way - working directly with our guests & owners. I love to travel, and get a kick out of creating extra-memorable experiences for vacationing guests. I also sing and play guitar - with a couple albums of original music under my belt - you can catch me performing locally, or at the 30A Songwriter Radio studio from time to time. I'm just very grateful to be able to be a part of this wonderful community! 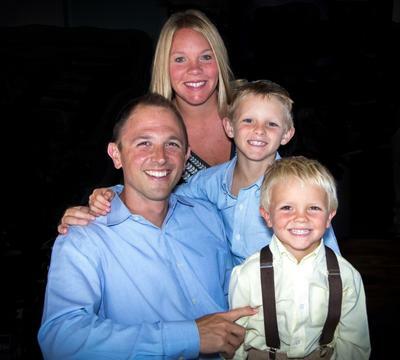 I didn't like my head-shot, so here's one with me and my boys! After getting my B.S. in Molecular & Integrative Physiology from the University of Illinois in 2000, I moved out to Breckenridge, Colorado with my dad. In Breckenridge, I managed central offices & employee services for a chain of Vail Resorts ski shops. I love working with people, and have a knack for logistics management in busy resort-town businesses. Fun fact: I've spent much of my life on the ice, as a competitive skater earlier in life, and a coach later on. In the end, though, our love of the beach brought us here, and we couldn't be happier (unless perhaps someone wants to build an ice rink nearby). Andy and I absolutely love to travel, and I've always been the planner on our trips. I love knowing all the little secrets an area has to offer, and being able to share tips with our guests - I'm always excited to help our next guests plan their perfect vacation!